The Kennedy family had birds, many dogs, a cat, several ponies – and two hamsters named Debbie and Billie. The hamsters came with the Kennedys in January 1961 when they moved into the White House, unlike many of the other Kennedy pets (such as the ponies Tex and Leprechaun, who arrived as gifts after JFK assumed office). Debbie and Billie were a birthday gift to Caroline from a boy who lived in Manhattan. Naturally, reporters found this to be highly entertaining, and questioned Press Secretary Pierre Salinger about it. “Our security is very tight, but these were extremely intelligent hamsters,” Salinger replied dryly. Despite their antics together, it seems that Debbie and Billie weren’t the best of friends. JFK wasn’t the last president to have hamsters as pets in the White House. 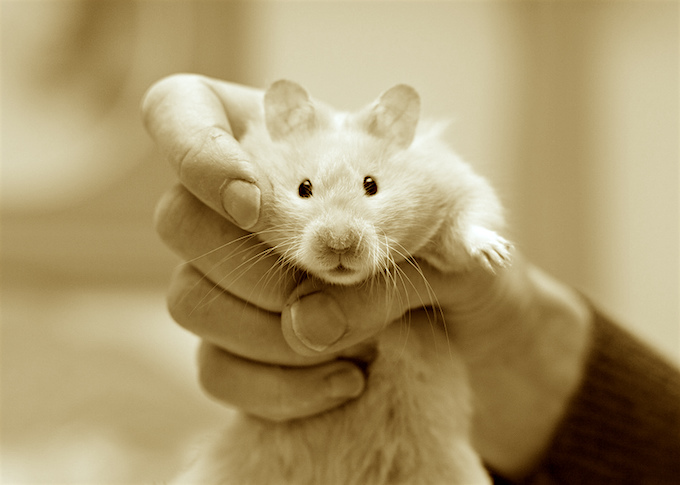 His successor after his assassination, Lyndon B. Johnson, also kept hamsters.